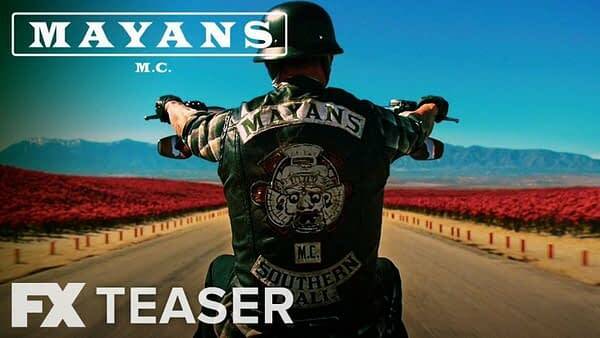 Imagine if you will that you’re entranced by another FX series (Legion) and THIS teaser for the much awaited Sons of Anarchy spin-off series Mayans MC airs. Yes, I backed up my DVR and watched it again immediately. Whomever put together this teaser- well done. It’s got iconography that fits the theme, and that Spanish version of “Paint It Black” is f**king amazing. Literal chills. This motorcycle drama is both a spin-off and continuation of SoA, which introduced the Mayans as rivals and later allies to the Reapers. 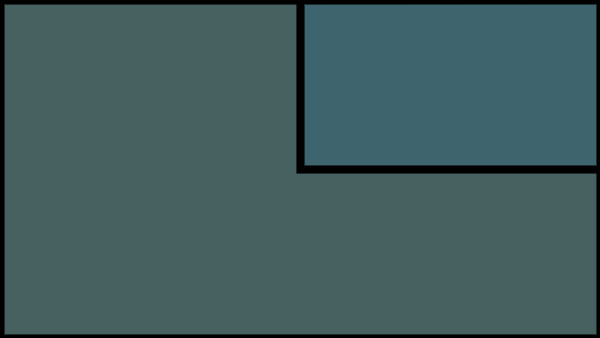 Kurt Sutter and Elgin James created the series, and are executive producing alongside Norberto Barba. J. D. Pardo stars in the series as Ezekiel “EZ” Reyes (kind of their Jax Teller character), with Edward James Olmos as Felipe Reyes the once strong Mexican patriarch and EZ’s father. Jacqueline Obradors plays Marisol Reyes, the matriarch of the Reyes family and EZ’s mother. Antonio Jaramillo will play Michael “Riz” Ariza, Richard Cabral plays Johnny “El Coco” Cruz (full patch member of Mayans MC), Clayton Cardenas is Angel Reyes (EZ’s brother, another full patch member), and Emilio Rivera plays Marcus Alvarez President of the Mayans MC Oakland Charter and cousin of Bishop Losa. Sarah Bolger is also on board as as Emily, childhood sweetheart of EZ who has “moved up in society”. While we don’t have an official premiere date for the series on FX other than in the fall, but we do know there will be some kind of world sneak peak of Mayans MC during the ATX Television Festival in Austin on June 8th. Are You Ready For Sons of Anarchy Spin-Off Mayans MC?